American theater manager (1829–1894) most famous for operating Ford's Theatre at the time of Abraham Lincoln’s assassination on April 14, 1865. Partly-printed DS, signed “J. T. Ford,” one page, 8.5 x 7, July 28, 1883. 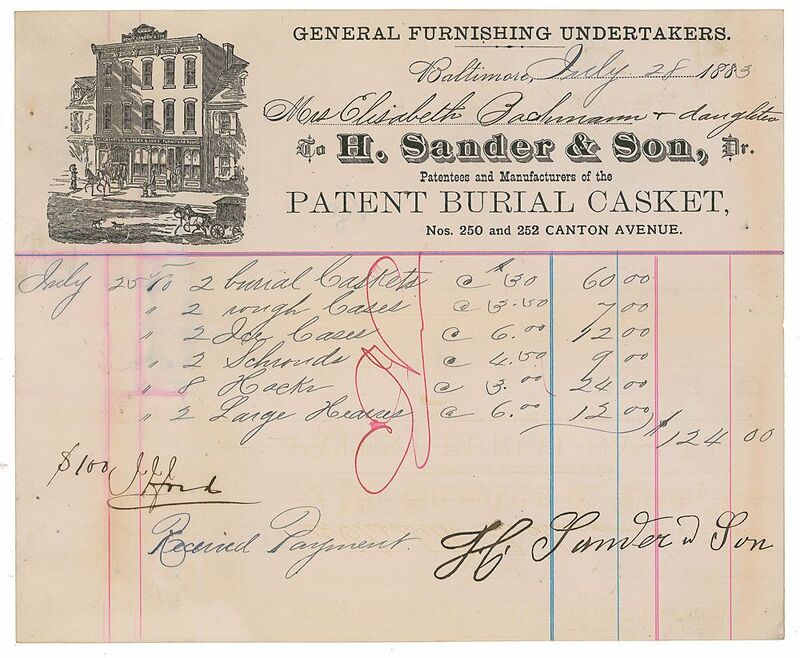 Receipt from H. Sander & Son, Patentees and Manufacturers of the Patent Burial Casket, for a purchase of $124 by Elizabeth Bachmann and her daughter. Ford signs in the lower left for a $100 payment toward the invoice, which included two burial caskets and other funerary accoutrements. In fine condition, with expected document wear.rare autograph.